1. Feathers, Charlie This Lonesome Feeling [unissued] uniss. 3. Feathers, Charlie Live And Let Live [unissued] uniss. 5. Feathers, Charlie Have You Ever [unissued] uniss. 8. 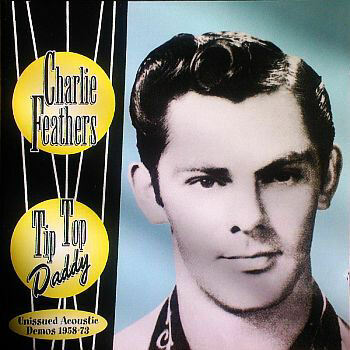 Feathers, Charlie Don't You Worry Little Darlin' [unissued] uniss. 9. Feathers, Charlie Yesterday Is That Other Day In Life [unissued] uniss. 10. Feathers, Charlie Johnny Come Listen [vers. 2] [unissued] uniss. 12. Feathers, Charlie The Rules Of Love [unissued] uniss. 13. Feathers, Charlie Nobody Answered [unissued] uniss. 14. Feathers, Charlie Fireball Mail [unissued] uniss. 15. Feathers, Charlie You Believe Everyone But Me [vers. 2] [unissued] uniss. 16. Feathers, Charlie Walkin' Alone [unissued] uniss. 17. Feathers, Charlie Darlin' Please Wait For Me [unissued] uniss. 20. Feathers, Charlie You Believe Everyone But Me [vers. 3] [unissued] uniss. 21. Feathers, Charlie When You Decide [alt. vers.] [unissued] uniss. 22. Feathers, Charlie She Done Gone [unissued] uniss. 23. Feathers, Charlie Am I Losing What I Found [unissued] uniss.